THE money fans spend on burgers or a half-time cup of tea to keep warm on the terraces now goes straight into a football club’s coffers. Bishop Auckland Football Club invested around £22,000 in new catering facilities which opened at its Heritage Park ground this month. The money came from a £340,000 bequest made by Colin Rowell, who had followed the club for seven decades until his death in 2015. It was his final wish that most of his estate, including the proceeds from the sale of his bungalow, should go towards improving the ground and money has already been spent on new drainage and lights. The kiosk was designed and built by John Bayles, who services and repairs vans and caravans. Having followed Northern League for 30 years he realised how much money clubs were spending or missing out on by hiring in outside catering providers. 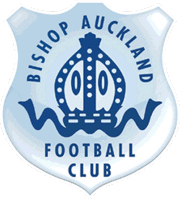 He built one for The Bishops so its profits are retained by the club and hopes to work with other clubs on similar initiatives in the future. Mr Postma thanked Bill Caris who for 14 years travelled from Sunderland to every Bishops home game, at whichever ground they were using after leaving Kingsway, to provide a catering van at the ground. Fantastic news and work but surely deserves to be called something other than a hut! Colins Kitchen? Great work all. Thanks Tony. Our function room is to be named the Colin Rowell Suite so ‘Colin’s kitchen’ has a good ‘ring’ to it!